When another week has flown by and the weekend is finally here, what better way to celebrate than heading to brunch? By joining friends or family at a local Key West restaurant, it allows you to fall into the city’s perpetually “on vacation” mentality. And while brunch is usually reserved for the weekend, we encourage all those on vacation to treat Tuesday like a Sunday and to get your brunch on! Below, we’ve selected some of the best places to enjoy brunch in the city, including Bagatelle, La Grignote, Six Toed Cat, Sarabeth’s, the Southernmost Beach Café and The Marker’s Cero Bodega. Whether you crave a brunch with a Parisian spin, or prefer an indoor-outdoor space with a breeze, our list will lead you to the perfect local restaurant of your mid-morning dreams. Winner of OpenTable’s 2016 Diners’ Choice Award, Bagatelle is a Key West brunch spot you don’t want to miss! Their menu includes delicious brunch fare, with locally sourced fish and an extensive selection of benedicts. The standouts: the chicken & waffles benedict, complete with fried chicken, mini waffle, poached egg, and bourbon & candied bacon syrup, and their southern benedict featuring pulled mojo pork, poached egg, Cajun hollandaise, over toasted cornbread. If you’re in the mood for lunch, we recommend the creamy seafood chowder, the refreshing heart of palm salad, and the Thai chicken tacos! Craving a Parisian-inspired brunch? Look no further than La Grignote! At this Key West favorite, everything is made from scratch; they bake their own bread and croissants in-house daily, while making an assortment of pastries such as Danishes, cookies, and more throughout the week. La Grignote serves ham & cheese croissants, Belgian waffles with homemade Nutella and jam, among many other tasty choices! The fresh pastries alone will make a trip to La Grignote one worth raving about for weeks to come. The laid-back outdoor space of Six Toed Cat will be sure to win you over as a go-to brunch spot in Key West. Conveniently located next to the Ernest Hemingway House and across the street from the Key West Lighthouse, you couldn’t be nestled any better amongst the local historic sites of the city. Six Toed Cat’s menu favorites include the POPEYE omelet, lobster benedict, and steak & egg burrito to lunch items like the lobster Reuben, burgers, and freshly caught fish. Residing in a Key Lime colored clapboard house, Sarabeth’s sits in the heart if Old Town. 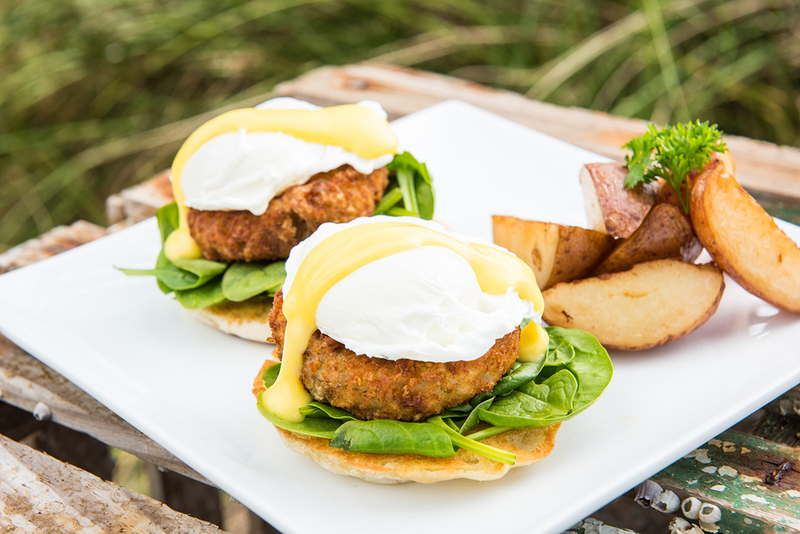 Choose from either quaint indoor or breezy outdoor patio seating, get to brunching! Some of the delectable menu selections include their famous lemon ricotta pancakes, Key West pink shrimp & bacon omelet, and their almond crusted cinnamon French toast. If you’re craving a dish that skews on the lunch side of brunch, the cornmeal crusted sautéed shellfish cake or a poached wild salmon cobb salad, will do the trick! Start your day off with a cup of coffee and your toes in the sand at the Southernmost Beach Café. Not only is this café great for sunshine and breezy ambiance, but the breakfast and lunch menus also are favorites of both locals and guests alike. Choose from breakfast offerings like shrimp and grits, biscuits and gravy, or lunch selections like conch chowder or peel and eat shrimp. Afterall, any breakfast menu that starts off with eye openers is our kind of menu! Frequented by the likes of Key West Foodies and Amber of Key West Finest, Cero Bodega is The Marker’s poolside spot is perfect for lite brunch fare and refreshing eye openers to start the day! Guests rave about the coconut banana French toast that is drizzled in oven roasted pineapple and mango syrup! If you’re looking for a quick brunch bite, Cero Bodega’s fruit plate or bagel & smoked salmon plate are favorites as well. Whether you’re a local or a guest, Cero Bodega has something to offer everyone for brunch!